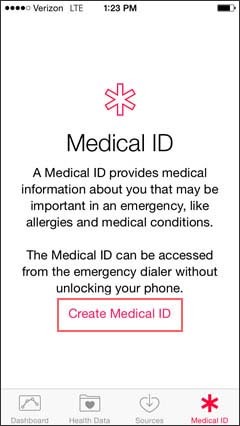 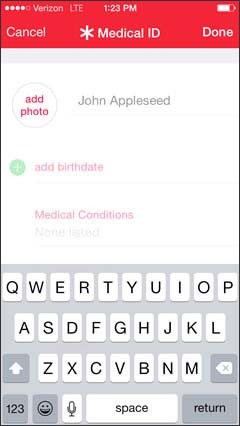 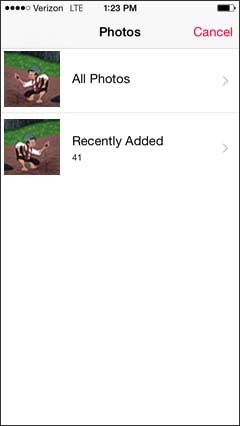 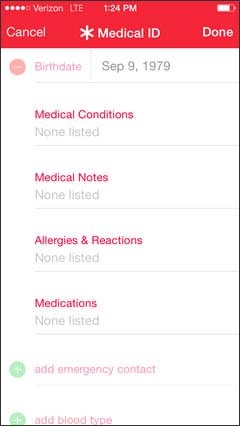 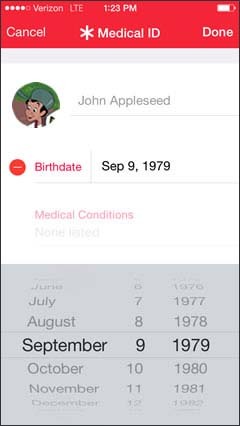 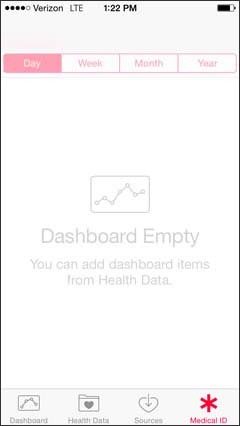 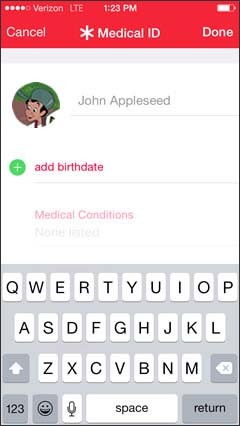 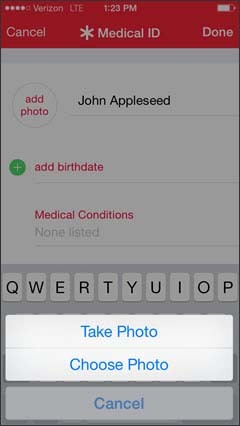 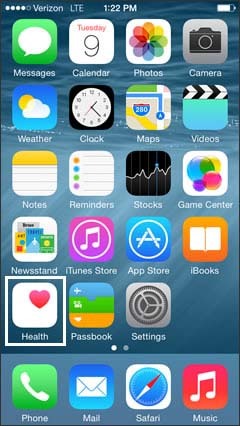 The Medical ID can be viewed when the iPhone is locked by tapping Emergency then Medical ID. 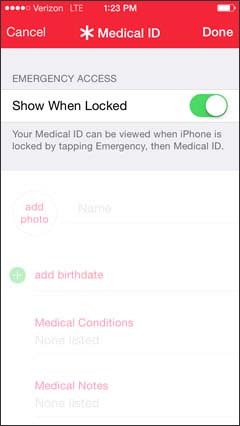 Verify the Show When Locked switch is turned on . 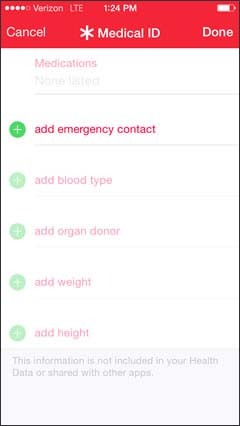 Tap add emergency contact then select a contact. 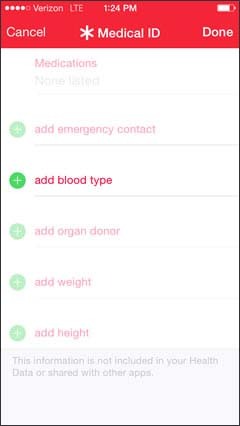 Tap add blood type then select your blood type. 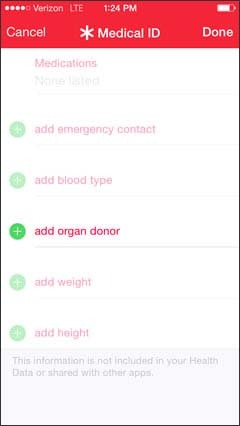 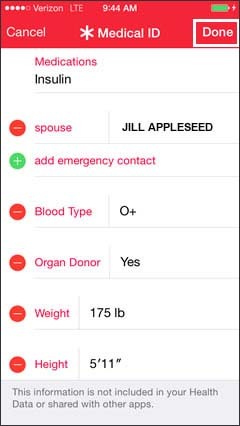 Tap add organ donor then select if you are an organ donor. 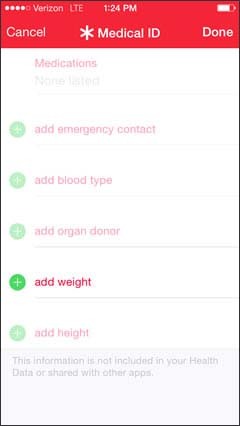 Tap add weight then select your weight. 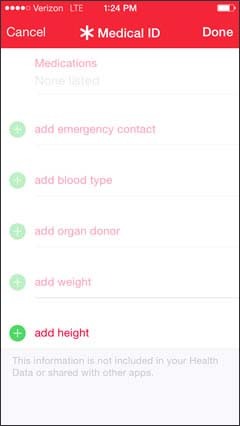 Tap add height then select your height.